Thank you for your usual support to our cats channnel "My name is HANA the cat"I really appreciate for your support to this cats channel.So I'm afraid but these questions are not well organized for non-Japanese speaker...Of course you can join the event but I'm not sure there are enough information in English to answer to all the questions.Please feel free to join,anyway! I will promote your YouTube channel. I will show the link of your channel in my website. Channels that Infringe copyright,or channels that aren't suitable for kids and families,or channels about political theme or religious theme,or anything I judge it is not appropriate to my channel and website. Please join the quiz event to get the prize! ※This video has English subtitles.Please check your YouTube setting in case you can't see the subtitles. 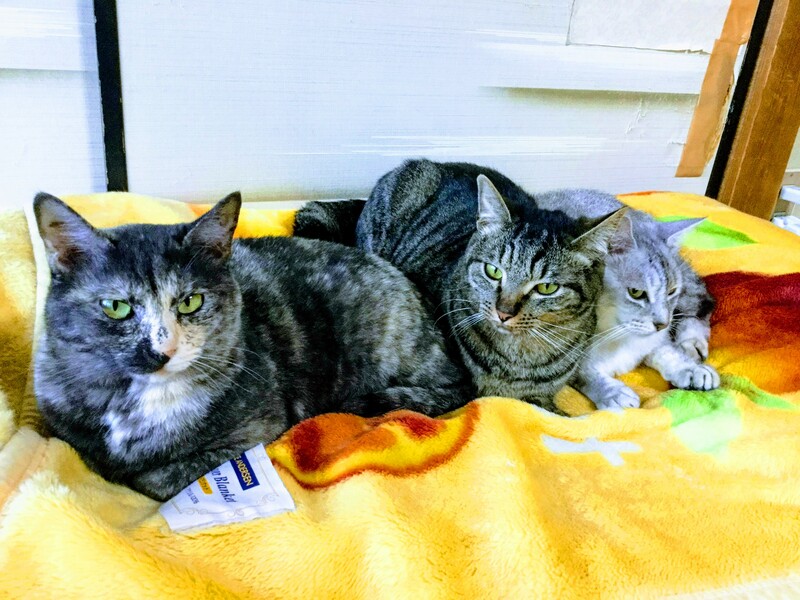 Title（Please type "The answer of the quiz"
Q.1 Please answer the names of 3 cats from the left to the right. Q.2　Please answer the date of birth of SABA the cat (Year/Month/day). Q.3　How many babies did HANA deliver? Q.4　What is the relationship of HANA and MIZORE? Q.5　What month did SABA the cat give up drinking mom's milk? Thank you for joining the quiz! Please write your message if you would like to.